Glamorously jamming in the ‘rock room’ today is a purported first generation soundboard recording of David Bowie and band from the 1974 ‘Diamond Dogs’ tour. 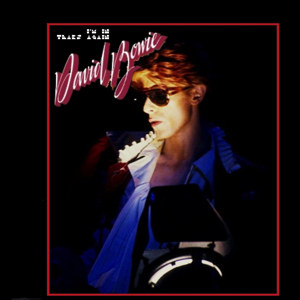 Hailing from Los Angeles this recording finds Bowie in his decadent post ‘Ziggy”‘ persona, and still performing amazingly visual and musical concerts. I find this era of Bowie to be peak, its intensity along the lines of the ‘Spiders from Mars’ shows, yet different in its theatrics as well as the musical dynamics and expressions. The band for this tour had been expanded and left behind Mick Ronson and the ‘Spiders’ from previous years. The ‘Mike Garson’ band was picked as the road musicians featuring background singers, a horn section with Davis Sanborn, and capable and creative guitarists Earl Slick and Carlos Alomar. This era found David at his most fragile, thin, and pale yet still creating another persona and theatrical stage face in which to disseminate his craft. The wonderful sounding line recording opens with about ten minutes of animal noises and sounds (played over concert PA) before breaking into the prelude of an orgasmic woman and creaming into the funky introduction of ‘1984‘. ‘1984‘ being a foundaional track off of Bowie’s new ‘Diamond Dogs’ LP is a fitting opener to the performance. The soundboard is crisp, if not lacking a bit of the high end, but for the most part all instruments are audible and punchy. At some points the recording seems a bit flat but only for the very discerning ear. The mix is present and the performance spacey and funky. Chunky red lipstick guitar moves ‘1984’ forward leaving streaks on the mirror. Sounding grandiose, and much more orchestrated than Bowie’s streamlined 1973 performances, the show sleekly fires musical shots across the alluring LA night sky. Segueing somewhat oddly into ‘Rebel Rebel’ the music now sizzles with a punky attitude contributed to by some joyous and unique backing vocals. When the tune hits its highway stride the horns are blazing, vocalists are howling, and Bowie is scatting percussively over the glittering musicianship. From ‘Rebel Rebel‘s’ neon ashes rises the freaky introduction of ‘Moonage Daydream‘, from Ziggy, which erotically slinks toward the assembled crowd with a dark syncopation. Bowie sensually and breathlessly sings the lyrics with a raspy intensity. His voice does not yet sound up to its full capabilities, but is emotive and contains a weightless astronaut attitude. The tune thrusts forward on a big fat puffy bass line and windy whistling keyboard licks that sway in conjunction with the moaning horns. Following ‘Moonage Daydream ‘ is the ‘suite’ of songs from ‘Diamond Dogs’ first side, ‘Sweet Thing‘ and ‘Candidate‘. This particular version is contained within a translucent bubble that travels weightlessly through a smog black sky. Large bell tower bass notes and spacious piano glissando’s wrap up Bowie’s breathy and smooth vocalizations. A whirling David Sanborn saxophone solo sets the stage for the segue into ‘Candidate” which is highlighted by Bowie’s rhythmic ‘hip hop’ lyrical grooves. The performance is hitting its full stride at this very moment. There follows a brief piano interlude at the conclusion of ‘Sweet Thing’ that helps to introduce a crowd pleasing ‘Changes‘, full of dynamics and detail. ‘Suffragette City‘ begins as the cymbals of ‘Sweet Thing’ fade away and is a high tempo ‘blam blam’. As tiring as the woman Bowie speaks of in his lyrics, ‘Suffragette’ cruses along at altitude rejecting all inquires by friends and lovers, being too busy to look back. A high energy stomp. ‘Aladdin Sane‘ is ushered in on a tight hi hat introduction that ethnically swings on scattered percussion and tightly arranged guitar and horn lines. A tune that encourages the body to move ‘Aladdin Sane” changes tempos, melodies, and grooves. The song blossoms into a piano based middle section that moves like a scantily dressed dark skinned woman in sandy moonlight.Beautiful. Bowie greets the crowd after ‘Aladdin Sane’ for the first time in a mock accent and ushers in”All the Young Dudes“, a song composed by Bowie, but made famous by ‘Mott the Hoople’. A melodic call to arms for all of Bowie’s ‘people’, freaks and geeks alike. ‘Cracked Actor‘ struts in on the coat tails of distorted guitars and enthusiastic horns. Bowie playfully teases his vocals like a sexual deviant. I have included video for this actual performance at the bottom of the page. With a slight pause the band slips into ‘Rock and Roll With Me‘ which starts sluggish, but concludes in a nice singalong peak. Bowie sings quite well, and the featured guitar solo by Alomar (I think) is quite melodic and hits some intense musical spaces. The group then screams bombastically into Bowie’s fantastically funkified version of “Knock On Wood“. 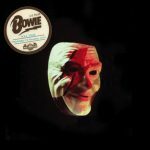 While retaining the original melody, Bowie’s arrangement leans forward and places heavy steps, placing emphasis on all the right changes. He makes the song his own through his dynamic and hard hitting arrangement. The show then slows for a soulful rendition of ‘It’s Gonna Be Me‘ savored til the last drop and dynamically played with attentive filigree’s and whispered punctuations by the assembled band. A previously unreleased track from Bowie’s ‘Young American’s album, ‘It’s Gonna Be Me” is lyrically epic and musically transparent. A peak of the performance. The saxophones wail and the piano johnny apple-seed’s hearty peeling glissando’s as Bowie is reaches into thick liquid night for momentous vocal displays. A tremendous display of Bowie’s own brand of cosmic glitter R and B, spotlighting his intimate and dynamic vocals. Wow. But wait, there’s more! Another pair of songs from ‘Diamond Dogs’ follows when ‘Big Brother‘ segues into ‘Chant of the Ever Circling Skeletal Family’. ‘Big Brother’ spies through keyholes and from fire escapes, peering into Bowie’s window vision of brainwashing and reflection, based on George Orwell’s novel 1984. ‘Big Brother’ is a slinky macabre version the breaks into a ‘rag time’ interlude which then leads to the brief but deliciously strange and tribal ‘Skeletal Family’. Sound effects straight from the LP again blend the songs together as Bowie begins in my opinion one of his finest musical moments. ‘Time‘ begins a slight burlesque ditty, but becomes a distorted guitar epic…..classically Bowie. Bowie’s lyrics, a statement on the inevitability of time’s effect on life, death, friends and his own mind reaches all the right peaks in all the right places. Bowie glides over the tic tock piano lines with taut wordless ‘Lai Lai’s that reach into the thick stew of time passed on by. The crowd loves it, and so do I. A fine and stirring moment. Introduced by a fat sliding barre chorded bass interlude the band crunches ‘Jean Genie‘ under their respective heeled boots with an intensity harkening back to the previous ‘Ziggy’ tour. There is an explosive middle and smoking conclusion of the tune where the ‘Mike Garson’ band discharges into a somewhat improvised but definitely incendiary breakdown that slides effortlessly back into the chorus of the song. The finale of the show is fittingly the final song featured on the ‘Ziggy Stardust and the Spiders from Mars’ LP, “Rock and Roll Suicide‘. 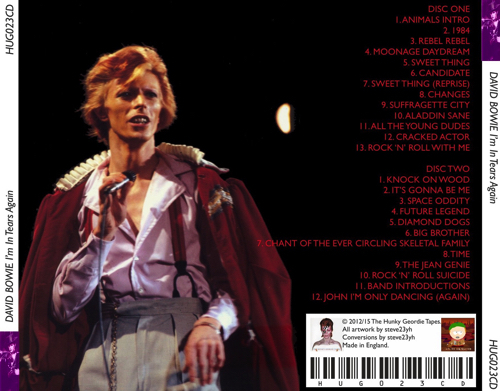 Also featured on the live LP representation of the tour ‘David Live’, this version is a grand finish and and you can feel Bowie pushing to the make the conclusion of the show a memorable one. 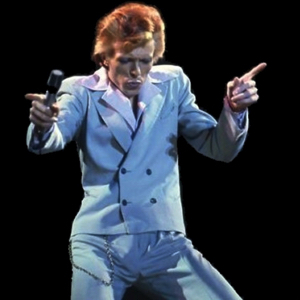 Bowie imagined himself as a ‘chanteur’ when preforming this number, placing himself into the character of a french renaissance era composer and lyricist. Bowie always preformed best when his persona was in flux and his ‘characters’ were changing. The concert concludes with the single 7′ release ‘John, I’m Only Dancing‘ a song often ruminated over regarding its homosexual leanings and statements. It should be of no surprise to anyone, but of course the single was never released in America until four years after the fact because of the content of the lyrics. The song swings between a R and B groove and on to a full out disco beat, years before its popularity. This song is the perfect conclusion to an expansive and well played show. 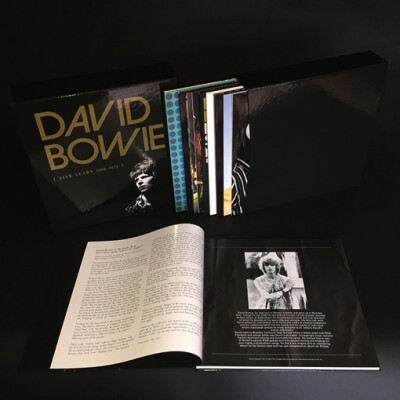 ‘Dancing’ includes glimpses into Bowie’s personal preferences, a sampling of his musical head at the time, a diverse instrumentation, and a intense arrangement that leaves the crowd wanting more. This 1974 concert finds Bowie in one his most gossiped about yet intensely creative periods of his career. After a change of band and persona, Bowie returned with a newer and bigger band, a diverse display of theatrics, and a revolutionary new LP ‘Diamond Dogs’ that created the pallet for his new direction. The official LP release ‘David Live’ is a solid representation of this tour and a nice place to start if you are not familiar with the era. I would then supplement with the numerous field recordings and bootlegs available. Bowie had fully developed into the ‘thin white duke’ at this point and his mystery and oracle drove his popularity skyward while fueling his own creativity. Listening to the concerts and recordings from this era reflect the multiple directions and radical development of Bowie as one of the finest rock and roll artists we have ever seen.